First and foremost, I wish you all a very happy New Years! Be safe tonight guys and gals. This is a night to be happy and have some fun. Nobody wants to hear about you dying tonight. It will almost undoubtedly be a buzzkill. So do us all a favor, be safe, don’t drink and drive, and just don’t die. Most believe that Matt Garza has a much better chance of being traded than not being traded. My source puts it at 70/30 that Garza is traded before the start of the 2012 season. If Garza is not traded by the start of the season, the Cubs will attempt to extend him, much like the White Sox did with John Danks earlier this winter. The teams believed to have been involved the most the last couple weeks are the Blue Jays, Yankees, Red Sox, and Tigers. The Miami Marlins have jumped into the Garza sweepstakes as of yesterday. The Cubs are looking for top end pitching in any Garza deal. The Detroit Tigers are the leaders for Garza in the Cubs eyes. Any Tigers deal would include top prospect Jacob Turner. Other names involved in talks with Tigers include Rick Porcello, Drew Smyly, Nick Castellanos, and Andrew Oliver. My source tells me that ONE of these 4 names will be included in a Tigers deal along with Turner. Breese, IL native Jay Voss is being discussed as the third prospect in a possible Cubs/Tigers deal. In talks with the Yankees, the Cubs would prefer a package headlined by Manny Banuelos over Jesus Montero. The Yankees would rather give up Montero or Dellin Betances. The Red Sox aren’t believed to be a serious trade candidate because of their lack of truly high end prospects and because of the recent Theo/Red Sox situation. Any deal with the Marlins will most likely be centered around a major league player such as Logan Morrison or Gaby Sanchez. While Blue Jays have been aggressive in talks with Cubs, neither the Cubs or Jays have centered around names that they would like to be involved in possible deal. It is believed at least 2 of the Blue Jays #2-8 ranked prospects would be involved in deal. All 7 of those names have been discussed. So from what I have gathered, it looks like Matt Garza will be dealt in the next couple weeks. Theo & Co. have the upper hand in any negotiations at this point. The Cubs don’t feel like they NEED to trade Garza. They are fine with him being a part of their future. However, every player is always available and if someone is willing to overpay, then you give him up. Matt Garza is the top starting pitcher on the market at this point. He is 28 and any team will still have 2 years of control left over him. With this many teams vying for his services, the Cubs are in a great position to seriously beef up their farm system. I, and this is my opinion, do think Garza will be traded sooner rather than later. My educated guess would tell me that will be to the Detroit Tigers. 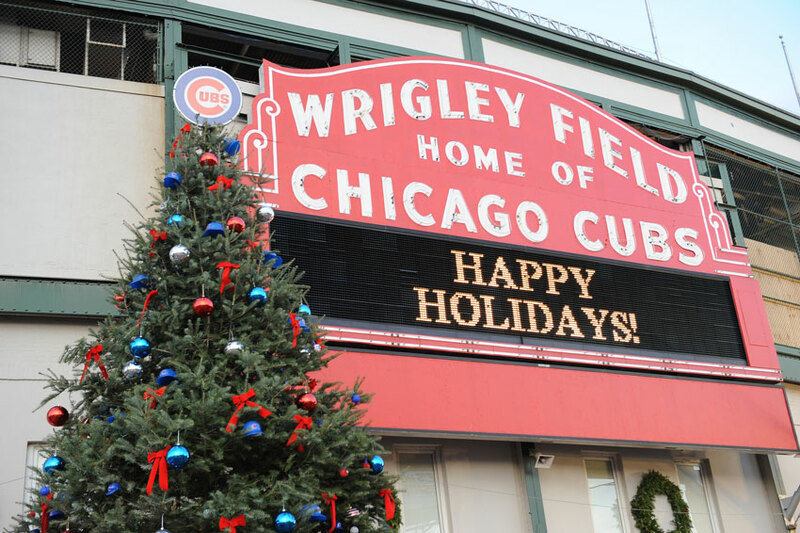 A new year brings the start of a new era for the Cubs. Hopefully this era is better than the last 100+ years. Happy New Year everyone! Again, be safe. Don’t die please.